This white paper is part of a series that promotes knowledge about language technology and its potential. It addresses journalists, politicians, language communities, educators and others. The availability and use of language technology in Europe varies between languages. Consequently, the actions that are required to further support research and development of language technologies also differs. The required actions depend on many factors, such as the complexity of a given language and the size of its community. META-NET, a Network of Excellence funded by the European Commission, has conducted an analysis of current language resources and technologies in this white paper series. The analysis focused on the 23 official European languages as well as other important national and regional languages in Europe. The results of this analysis suggest that there are tremendous deficits in technology support and significant research gaps for each language. The given detailed expert analysis and assessment of the current situation will help maximise the impact of additional research. As of November 2011, META-NET consists of 54 research centres from 33 European countries. META-NET is working with stakeholders from economy (software companies, technology providers, users), government agencies, research organisations, non-governmental organisations, language communities and European universities. Together with these communities, META-NET is creating a common technology vision and strategic research agenda for multilingual Europe 2020. Þessi hvítbók er hluti af ritröð til kynningar á máltækni og möguleikum hennar. Henni er einkum beint til fólks sem starfar í menntageiranum, á fjölmiðlum, í stjórnmálum – og í raun til málsamfélagsins í heild. Aðgengi að máltækni og notkun hennar er mjög mismunandi milli tungumála í Evrópu. Þar af leiðir að aðgerðir sem nauðsynlegar eru til að styðja rannsóknir og þróunarstarf í máltækni eru einnig ólíkar milli mála. Ýmsir þættir hafa áhrif á það hvaða aðgerða er þörf, svo sem stærð málsamfélagsins og hversu flókið tungumálið er. Á vegum META-NET, sem er öndvegisnet fjármagnað af Evrópusambandinu, hefur verið lagt mat á núverandi stöðu í málföngum og máltækni. Þessi greining tók til hinna 23 opinberu mála Evrópusambandsins auk annarra mikilvægra þjóðtungna og svæðisbundinna tungumála í álfunni. Niðurstöður þessarar greiningar benda til að í öllum málunum skorti rannsóknir á mikilvægum sviðum. Nákvæmari greining sérfræðinga og mat á núverandi stöðu mun hjálpa til við að hámarka árangur viðbótarrannsókna og lágmarka áhættu. META-NET tengir saman 54 rannsóknarsetur í 33 löndum. 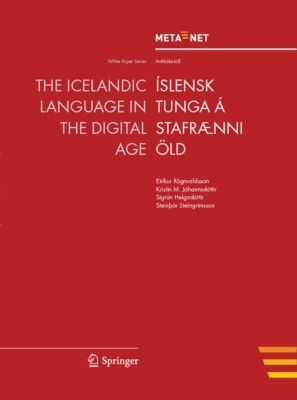 Þau vinna með hagsmunaaðilum úr viðskiptalífinu (hugbúnaðarfyrirtækjum, tæknifyrirtækjum og notendum), frá opinberum stofnunum, rannsóknarstofnunum, sjálfstæðum félagasamtökum, fulltrúum málsamfélaga og evrópskum háskólum. Í samstarfi við þessa aðila vinnur META-NET að þróun heildstæðrar tæknisýnar og útfærðri rannsóknarstefnu handa margmála Evrópu árið 2020.